Owning a business comes with many responsibilities in which mistakes are unaffordable and the mind always works towards in the way to make it better day by day. No matter, whether it is an online business or offline one, a website becomes the face of the business and act as a catalyst to its success. In this highly competitive business world, where companies are making every possible effort to edge past their competitor through their services, website design and development has an important role to play in improving the visibility of your brand. In Louisville, many companies are allowing web development services but, very rare companies are placed on the market that gives excellent web solutions supported by the various concepts. If you are looking for the top web developers in Louisville then you are in the right place. Here top 10 web development companies in Louisville are listed. Every listed company have great skill in web development, designing and much more. Hyperlink InfoSystem is a leading web and mobile app development company. They have an experienced team of web professionals who will cater to all your demands of web designing or web development company with great talent to the best of your expectations and hope for all your service, goods and products. They provide comprehensive, accurate, and fast web site maintenance services. A well maintained and updated website is very vital to draw in customers. They provide end to end web development solutions by keeping their client’s goal and objectives in mind. Their team is well experienced and can help you to create your web presence and achieve goals by creating a user-friendly website which delights your visitors. 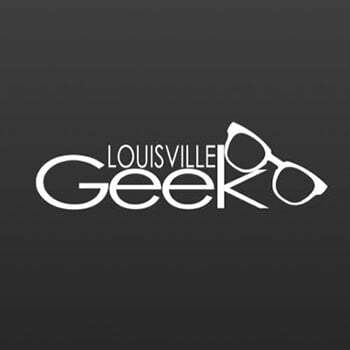 Louisville Geek is celebrating a decade of sustained business growth and success. By developing long-lasting relationships and building a reputation for delivering quality information technology and telephony products and services. Their proficient web developers have in-depth knowledge of various framework and technologies for developing your website. Net Tango develops enterprise level web solutions for business and government organizations. Established in 1996, we specialize in application development and system integration, web design and development, database solutions, and web strategy consulting. They have done a huge number of websites with perfection and reliability. To provide quality technology solutions for every facet of your business and to achieve these needs with an affordable pricing structure. Their clients receive personal assistance starting with an initial brainstorming session. DotTrend, Inc offers genuine and professional website development services within a budget to leverage and expand your online business. They specialize in SEO and web development that is focused on driving more targeted traffic to their customers business. 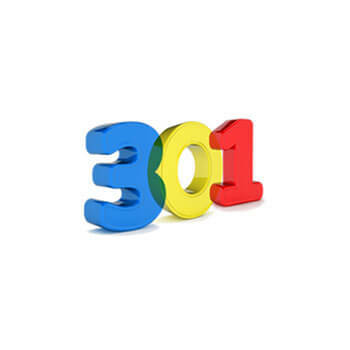 They obtain targeted search engine rankings through search engine optimization is their primary focus. Depending on their skill level, the end result will vary drastically by the methods used and knowledge of the firm. They focus on providing end-to-end custom website development services and establishing long-term partnerships with their customers. They can help you grow your business and build your brand by reaching engaged audiences through an integrated marketing approach. Whether your business plan calls for mass reach solution or targeted media, their multimedia representatives work with you to leverage integrated marketing expertise and sophisticated tools to build and implement the best marketing solution. Delightfully disruptive. At OOHology, it’s more than just a tagline—it’s a way of doing things. Breaking through the clutter with sticky ideas that win fans and build brands is what gets us out of bed every morning. They continue to leverage their expertise by consolidating your content into a single site that delivers flawless user experience across multiple devices. A full-service team of creative web developers, graphic designers and marketing specialists producing world-class websites and branding or identity collateral out of their studio in Louisville, Kentucky. Once they understand those fundamentals, they can create a website that tells your story in a way that appeals to your targeted audience. Makespace have a skilled web designer and developers. Their business development team specializes in developing applications to increase efficiencies. They develop custom platforms, create complex software automation, manage big data and develop proprietary business applications. They custom develop web-based solutions that automate and synchronize the eCommerce data across all these channels. They specialize in the full-service media perspective, blending traditional and digital to reach your consumers where they are every day. Their web design and development company, not just develop up a custom web design but it provides you with a unique professional identity and branding through our web design and development services. Media Venue offers you a complete Web design and development solution for your website with professional way.